It's been a busy week with a lot going on. Are you ready? Friday, I went to the Best of the Valley Quilt Show with my friend, Janice. It was a rainy day so gazing at lots of colorful quilts seemed like the perfect thing to do. 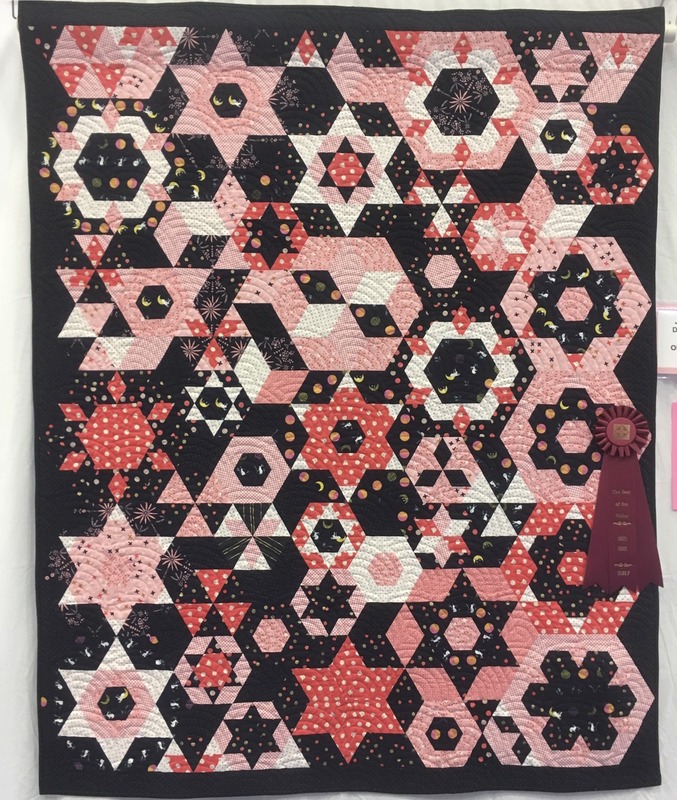 My Swedish Ex quilt was in the Authorized Vac and Sew booth, and I hadn't been expecting that, so it was a fun surprise. 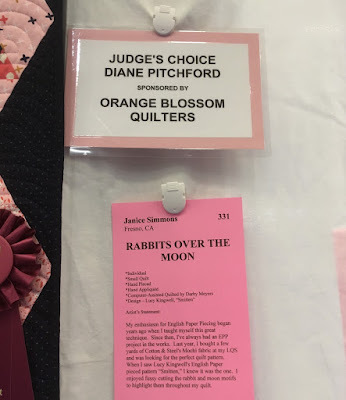 But the absolute best part of the show was turning the corner and seeing Janice's quilt, Rabbits Over the Moon, with a Judge's Choice ribbon on it! SO well deserved! 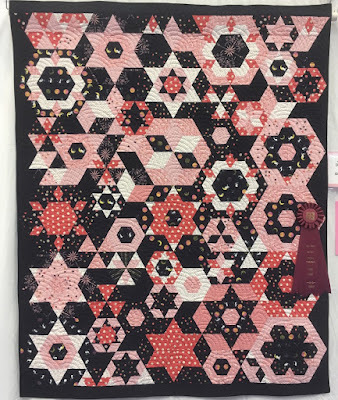 It was also MCC weekend--West Coast Mennonite Relief Sale, where money is raised for Third World Relief (this year over $185,000 was raised, with much of going to a tree planting project in Haiti). We were there both Friday night and Saturday. 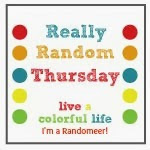 I decided this year to take some pictures to show what a typical day looks like. The sale is held on the campus of Fresno Pacific University. When I arrived at about 9 in the morning, not too many people were there yet. I always head straight to the coffee booth, where each cup is made while you wait. It takes a few minutes, but the coffee is so good. 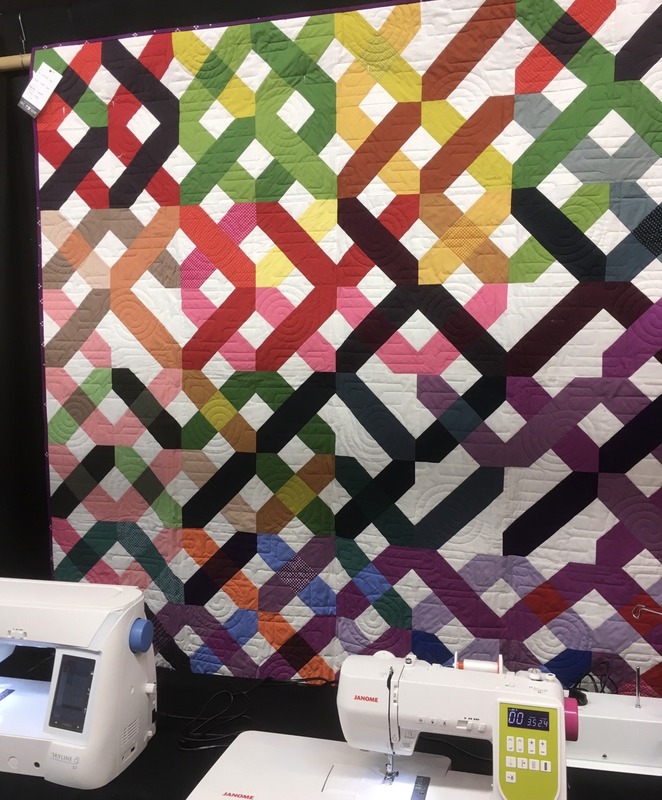 Then it's off to the quilt auction. 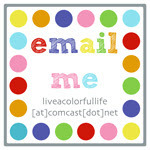 This was made by my friend, Jennifer. A couple of cars were up for auction, including my dream car, this Ford Mustang. It sold for $12,500, just a bit above my budget. Mark helped in the homemade ice cream booth this year. Even though it was cold and rainy off and on during the weekend, they served about 45 gallons of ice cream! They make the ice cream in two five-gallon buckets with a gas-powered engine, a four-stroke Fairbanks Morris to be exact. This has to be one of the cutest ice cream eaters ever. Some of my favorite people were there too--I never get tired of seeing them. Gabe even took a fairly decent picture of me. Remember that white tent above? This is what it looked like around noon. It was a fun day--quilts, good fun and lots of great conversation. Charlotte collected on her birthday present from last September--we promised to paint her bedroom. True to form, there was a bit of procrastination (on our part), which turned out to work in our favor, as they moved to a different house about a month ago. and the other three walls are lighter. We also have big plans for this chest--we will paint the outside white, and then the drawers will be treated to an ombre' effect, with the bottom drawer a dark turquoise, getting lighter with each drawer, until the top drawer is white. While our kids have moved to a larger house, my parents downsizing from a house to a room as they move to an assisted living facility in Reedley, a town about 40 minutes from us. My father has been in memory care since August, about 10 minutes away. They will be able to share a room in the new place. This move entails a lot of downsizing. They have been married nearly 70 years, and for 52 years, my mother has taught piano lessons on a beautiful baby grand piano. She will no longer be teaching, and the piano will be sold. This was a sad day for her, when her piano was wrapped up, and taken away to be sold. "These are two of the luckiest kids in the world. They have had the privilege of having the most wonderful piano teacher for the past 4 and 6 years, respectively. Not only is she a gifted musician, a knowledgeable, patient, and encouraging teacher, but she also happens to be their great-grandmother, and after 52 years of teaching piano, these kids get to round out her career. I am forever grateful for the time these kids have had with Nana, the many afternoons that I spent in the living room with Papa and the babies and puzzles, watching him chase them around the house or play hide and seek, the mounds of change that he would leave beneath the recliner for them to find, at first on accident and then on purpose, the thousands of cookies they all ate in those years, and the donuts for special occasions. I am spoiled that my kids never complain about piano, never ask if they have to, but only look forward to their lessons. 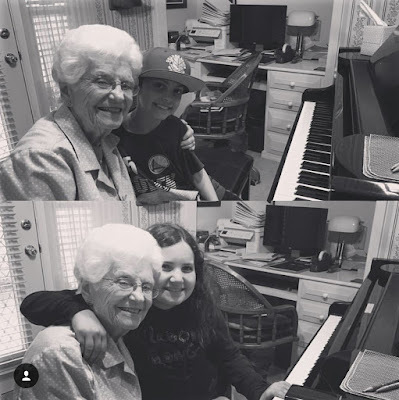 I hope and pray that the instrument that I love so dearly will forever be mixed for them with the memories of their time with Nana and the knowledge that they were loved so deeply." It makes me teary-eyed to read those words. She has had such an impact on so many piano students over the years. Mark has been working at the house for hours and hours, going through boxes of papers with my mother, organizing things for the move and the estate sale afterwards. Yesterday I spent the afternoon labeling all their clothes and going through various drawers. I even found a sweater that I hand knitted for my father when I was in high school. So many decisions to be made, what to keep, what to sell, and fairly often "why do we still have this?" Their homes have always been lovely and beautifully decorated, with lots of pretty plants and flowers in the yard. Things look so different already, with boxes everywhere you look. This will be a big change for all of us. We pray the transition is a smooth one. Hugs to you and your parents as you all go through this transition. These are tough changes that tend to feel like loss. But they feel like loss, because there are so many great memories that were made there. The memories go with us even after all the boxed things go to their new homes. I hope it feels that way for all of your family. What a beautiful tribute to a wonderful Great Grandmother and Grandfather. It is so hard to watch our parents age...it means we too are aging. I hope the transition goes well. These are hard times for all of you, Cindy. Moving the piano must have been really difficult, but what a nice tribute it was that she wrote to your mom! Good luck. Haha, Thanks for celebrating my Judge's Choice award with me. You made it extra special.